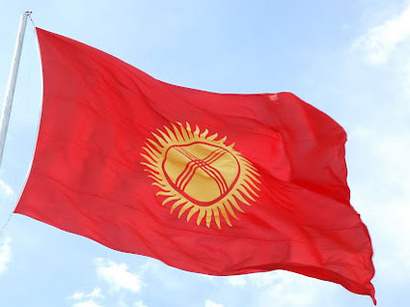 Kyrgyzstan may face a shortage of oil products in the coming months, the State Committee for Industry, Energy and Subsoil Use of the country said in a statement. The volume of oil products, which should be delivered duty-free to Kyrgyzstan within the current indicative balance, includes 176,000 tons of gasoline and 64,500 tons of diesel fuel as of the beginning of July, the state committee said in a statement. The above-mentioned balance of gasoline will last for ten months, that is, until October, and the diesel fuel - until August, according to calculations. At the same time, the supply of crude oil was not carried out since the beginning of 2018, the message says. "In order to prevent the shortage of light oil products in the country, the state committee holds appropriate negotiations with the Ministry of Energy of Russia to make changes and adjustments to the indicative balance for 2018 in the following volumes: oil – 150,000 tons; car fuel – 470,000 tons; diesel fuel – 515,000 tons and jet engine fuel – 135,000 tons," - the state committee said in a statement. The state committee also carries out active work and addresses the issues in the area of supply of oil products from Kazakhstan. "In this connection, it is proposed to raise during the upcoming meeting with the Kazakh delegation for discussion of the draft agreement between Kazakhstan and Kyrgyzstan on trade and economic cooperation in the field of supply of oil and oil products to Kyrgyzstan, the issue of duty-free delivery to Kyrgyzstan of oil and oil products in the following volumes: crude oil - about 200,000 tons; car fuel – presumably 400,000-500,000 tons; and diesel fuel – about 200,000 tons," the message reads.